Ndudi Hamani Ebi (born 18 June 1984 in London, England) is a Nigerian-British professional basketball player who formerly played in the NBA. He committed to the University of Arizona, in the U.S., but reneged by making himself eligible for the NBA Draft. 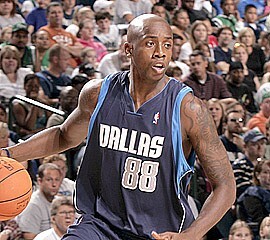 Ebi was selected out of Westbury Christian School by the Minnesota Timberwolves in the first round (26th pick overall) of the 2003 NBA Draft. Ebi was raised in Nigeria before moving to Houston, Texas, U.S. as a teenager to attend high school. He holds both British and Nigerian citizenship. He currently plays for Anibal Zahle in Lebanon.